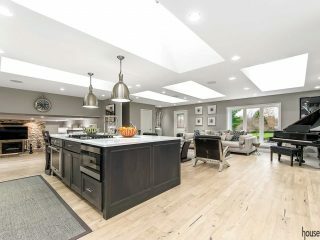 This carriage house was transformed into an entertainment space complete with an outdoor seating area, which sees quite a bit of use in warm weather. A happy home. You notice it right away when you drive or walk by. We’re not talking family dynamics here, we’re talking a home that looks loved and cared for even to passers by. 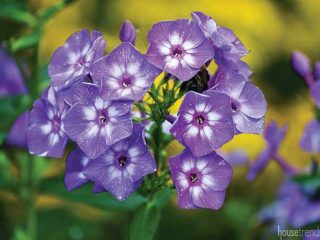 Sometimes it’s the fresh coat of paint, layers of lush landscaping or even an inviting front door that draws you in. 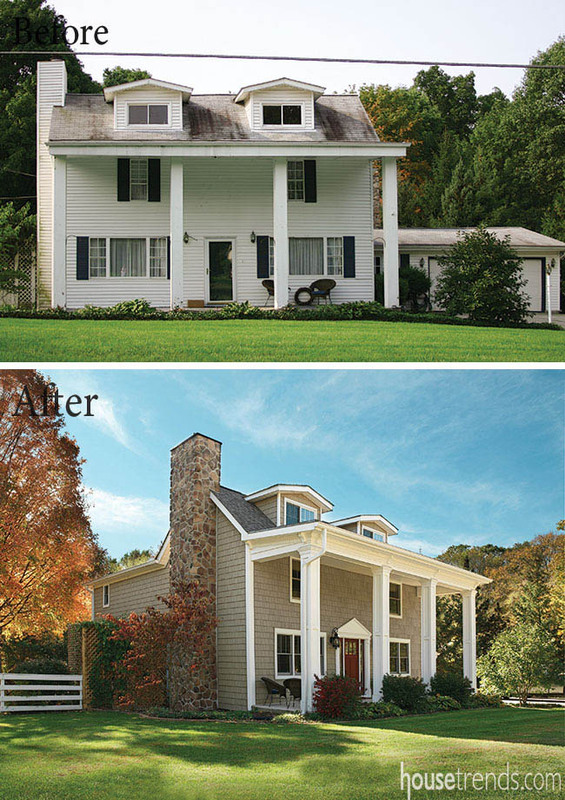 Other times it’s a major makeover that leaves little that is recognizable to the original home. But when families take the time to tie the whole package together, those grabbing a glimpse of the home stand outside a little bit envious. 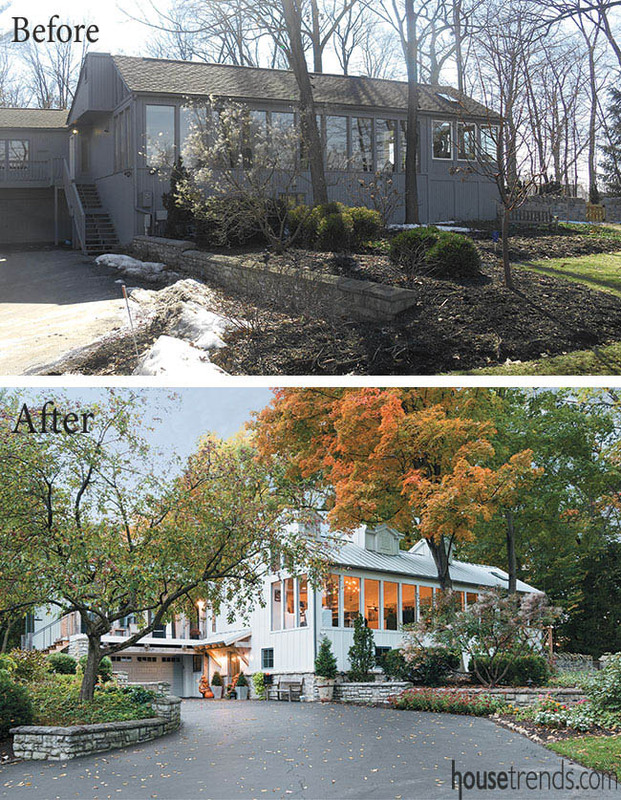 Here are some incredible remodels that have rendered eye-catching homes. 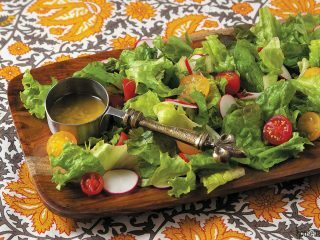 Artist-in-residence Laurie Clements and her husband Tom wanted to transform their 1968 contemporary with fresh new-meets-old touches. For example, oak timbering pairs with aluminum cable railings on the front façade’s upper deck. The Clements collaborated with T. Walton Carr on the conception and NJW Construction for the implementation of their vision. Wanting a bit more space, but not wanting to leave the backyard sanctuary they created, bird lovers Diane Owens and Larry Link called upon the team at J.S. Brown & Company for help. 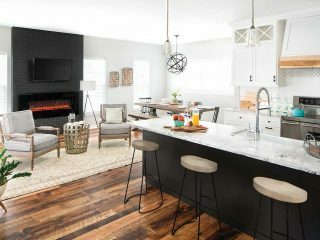 After brainstorming ideas with designer Monica Miller, the couple decided to rework their kitchen area and expand the great room. A massive wall of windows allows for an expansive view of the yard and its wildlife. 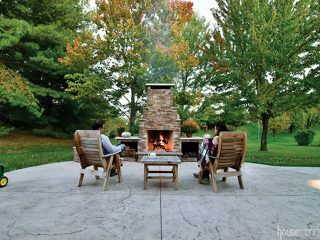 Plus, a clever bonus came into play when Sue Jacobs Grant, the landscape architect, suggested they place a linear fire feature outdoors. It can be turned on remotely from inside, providing a beautiful view even when the birds have flown away. 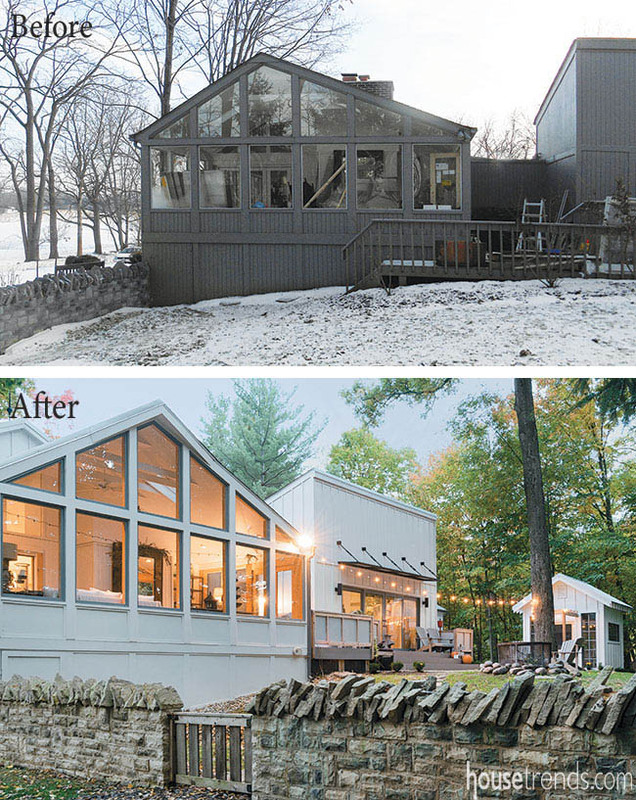 When Scott and Cathy Beckett decided it was time for an upgrade, they faced three choices: move to a new location, renovate their circa 1910 farmhouse, or rebuild on their current site. 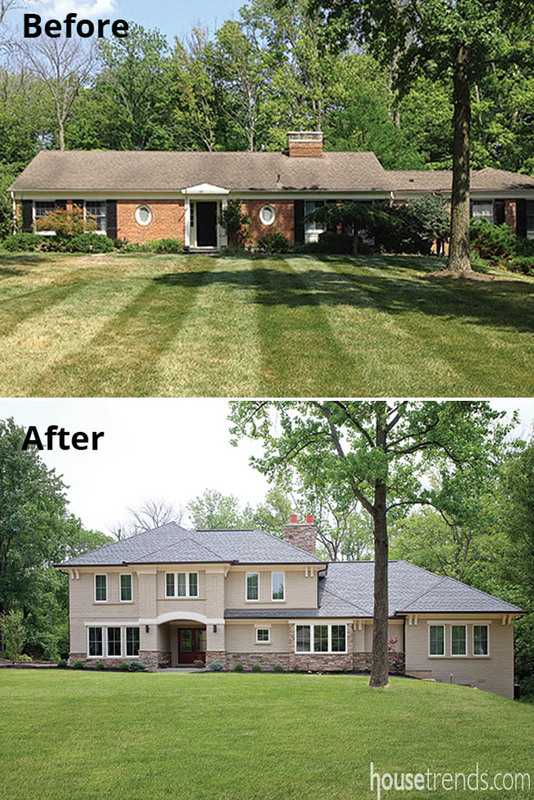 Once the couple decided to invest in a complete interior and exterior upgrade of their home, Maibach and his team rebuilt the exterior roofing, siding and windows with a focus on the front entry and porch. They also completed a major overhaul on an earlier addition on the back of the home while adding a second story above it. From the street however, the striking new stone chimney is what catches the eye. 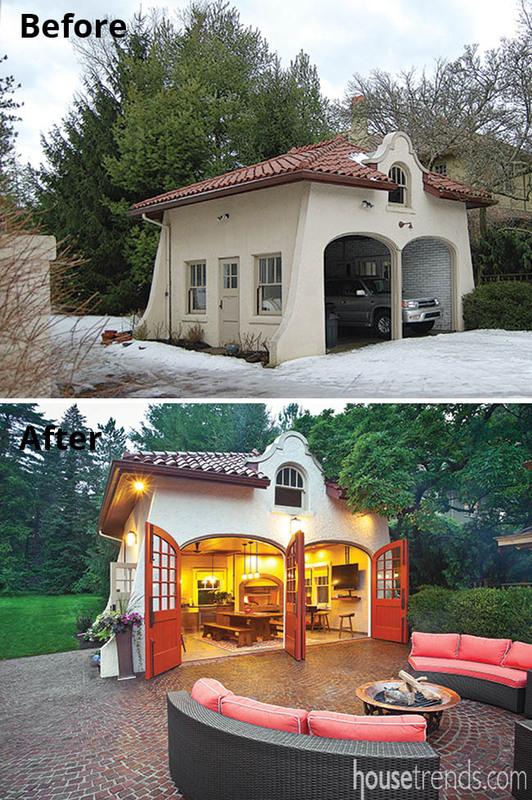 No longer needed for cars—thanks to a nearby, detached three-car garage—this underused, circa 1911 Spanish Revival carriage house was ripe for new possibilities. When the owners approached architect Chris Kepes they had a winning idea in mind. The couple wanted an outdoor entertaining area with a Parrilla grill, which is traditionally used for grilling meat in her home country of Argentina. Kepes and the team at Stegman Construction worked together to deliver an almost magical space. 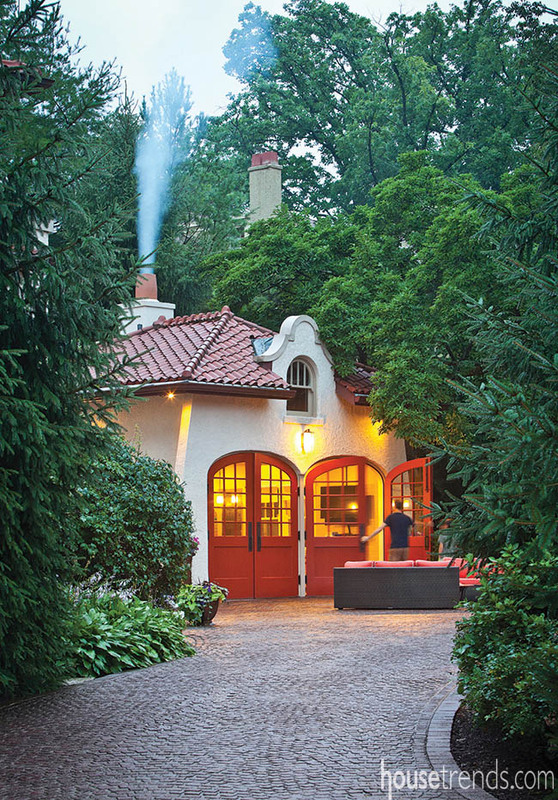 “Over time this home had accumulated two poorly composed and isolated additions,” says John Isch of RWA Architects. 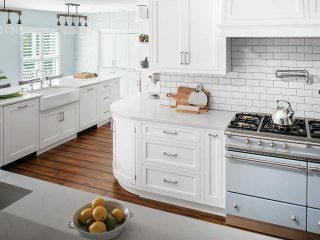 There was little connection between those spaces—which included the kitchen—and the living space of the main house. The owners wanted a simplified composition with a more compact footprint. It was also important for the remodel to keep a look of authenticity appropriate to the original Greek Revival style house. 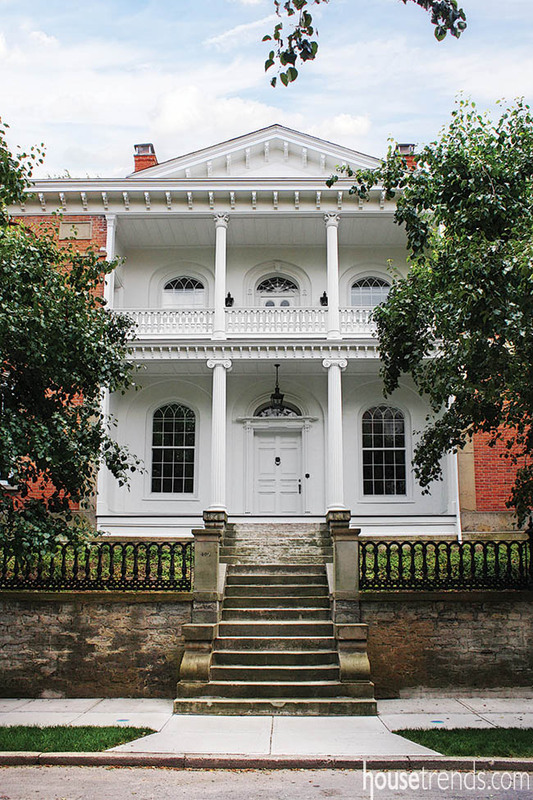 With the distinction of being the first brick house built in Covington, this circa 1815 Georgian style structure served in its early years as home to prominent Northern Kentucky residents. Later the single-family home was converted to four individual apartments, and more recently it served as a bed and breakfast for 35 years. 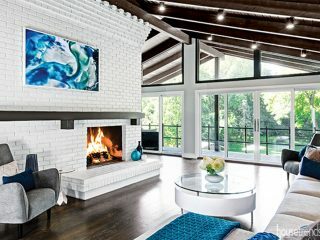 When new owners purchased the home in 2010 they wanted to restore it to its original splendor—while adding a few modern conveniences. The architects and contractors worked closely with the Historic Preservation Office when making external modifications. In fact, they even added an underground three-car garage so as not to detract from the home. Wanting to add a front porch and a bit of curb appeal to their home, Jim and Jane had been thinking about possibilities for quite a while before approaching Bill Haussler of Legacy Builders Group. “This property has a very shallow front yard,” says Haussler. “We were limited as to what we could do.” Along with architect Andy Hupp, Haussler and his team worked with the city to understand options and meet zoning regulations. 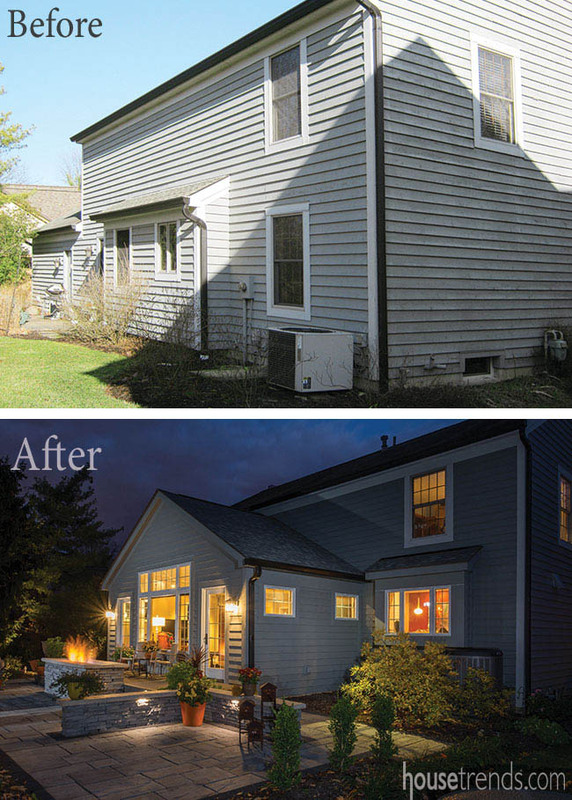 Once plans were approved, Legacy updated the siding and windows and added a covered front entry. 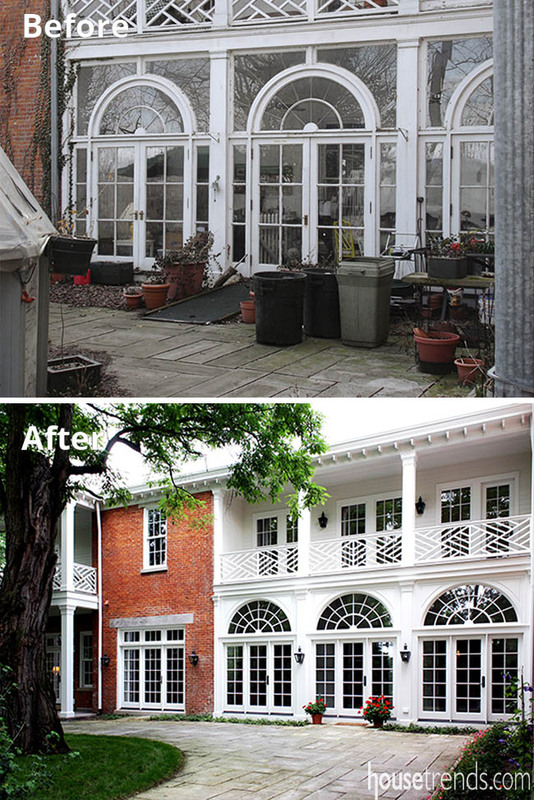 To the left of the entrance, dated floor-to-ceiling windows were replaced with smaller openings and a pergola was designed to finish off the inset space. A stone veneer wraps around the new façade for a charming rustic touch. 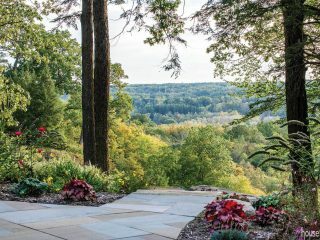 Even though they were hoping to build a new home in Indian Hill, when one couple discovered a 1960s ranch that happened to sit on a beautiful acre of land, they began to think differently. “They loved the property,” says Scott Lucke of Robert Lucke Group. 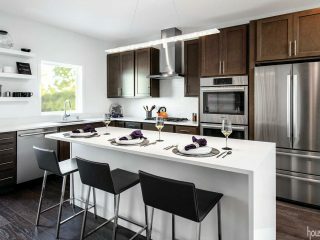 By purchasing the lot and adding a second floor to the home, they were able to get a “new” home experience while keeping costs within budget. 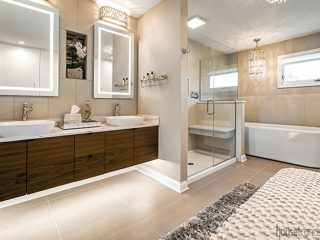 The home grew from three bedrooms to five, including a generous master suite. An addition to the rear expanded the family room and included a three-car garage. 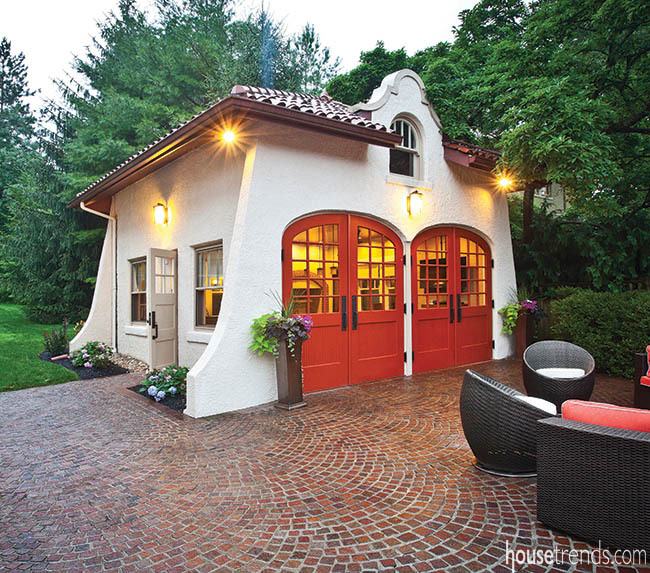 A covered front entry was added and the brick was painted on both stories as to incorporate the old with the new.